I just came across Gabbly… Very slick. http://gabbly.com/testng.org) and you’re in business. applications in XML and you code your Java logic inside these XML files. packages, GridBagLayout is your only hope. Java code in… XML files? Now that’s a great idea. formatting… Now that’s a winner. please make sure that I can keep writing my logic in good old Java files. the first offender). When a scrollbar is not proportional, its "thumb"
handling the visual information, they actually asked for it. system that features them. Quite sad. Office programs (the screenshot shows PowerPoint) and Acrobat Reader. button. Very effective, yet marginal. arrows any more when I need to move through a lengthy document. if your mouse needs to travel over a long distance to get there. text field, you know what I mean. The wheel. One of the best UI inventions of the past decade. click somewhere and then move your hands back to the keyboard). method is very effective and traditionally found on Thinkpads. because you can touch any part of the trackpad to enable it. magnifying them as the pointer comes in their vicinity? How about you, how do you scroll through long documents? Programming Language (see links at the bottom). typically involves C++ and a scripting language (0.5 GFLOPS). exclusively C++ with a strong functional slant (5 GFLOPS). They use no assembly language. Ever. constraints were enforced by the language, a lot of bugs could be avoided. reliability and features that enable concurrency. Lenient evaluation is the right default. Purely Functional is the right default. final in 2009. Yes, you read that right: 2009.
ways to convert ints to strings. last word on that one. this change will only benefit new macros. this directly from Stroustrup’s slides because the phrasing is too precious. It looks like there is something to learn from "next generation languages"
auto. Now we’re talking 21st century. templates (and related errors) a tad more readable. every element of a collection? lines of code breaking across the planet. that Java, C# or Visual Basic will fit the bill in 99% of the cases. to free the memory that I’m not even sure I allocated in the first place. Do you document your private methods and fields? will be skipped by JavaDoc? For your IDE, of course. overkill, especially when this private field will only be used in one class. than the real implementation when you are trying to find out how to use an API. better sense of how the class works. should add a comment or not means you probably should. How about you, do you document private methods and fields? 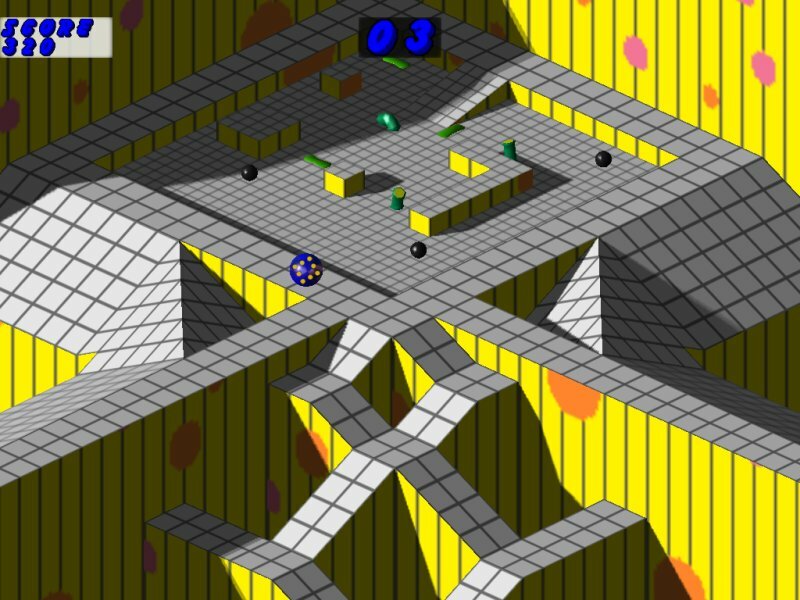 I will always remember the first time I saw Marble Madness. (then ][+ and then ][e) since around 1979.
the crowd and stared in disbelief at the beautiful game that was being shown. abilities that far surpassed those of the Mac Intosh. This was going to change soon. with my beloved Apple ][. the potential was just too good to pass up. clone called Rolling Madness 3D. personal touches, such as a few extra views.